much larger in the past when, it is believed, it was the centre of the Tiahuanaco culture. Titicaca maintains a great spiritual significance for the local population, many of whom still adhere to their age-old customs and beliefs.During the trekking in the Cordillera Apolobamba North Let’s see the next Mountains / nevado Soral O. 5,641, Chaupi Orco 6,044m. Flor de Roca 5,808m. Palomani Grande 5,768m, Katantica and lagoon Soral. Suches Lake, Laguna Chocullo, Laguna Iceberg and others. High passes, blue lakes, scattered settlements . Day 8.- Yumaca –Ridge Pass 4,890 m. –Pura Pura Camp 4,400m. Day 10.– Soral Lake –Lusuni Pass 4,940m. – Puina Camp 4,536m. Day 11.- Puina Camp – Sina Pass 4,870m. 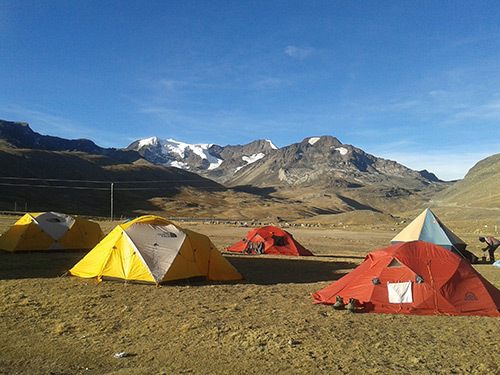 – Sina Camp 4,450m. Day 12.- Sina Camp –Sina Norte Pass4,750m. –Suches Lake 4,600m. 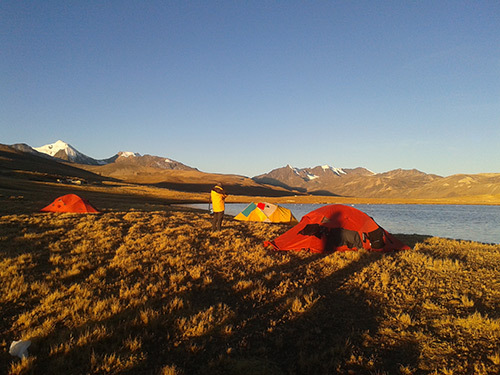 Day 13.- Suches Lake –Suches High Camp4,700m. Contact us or use our trip planner to build your ideal trip and receive a detailed quote from our specialist staff. price is based on two people, if more join the price goes down. We can run this as a private trip.